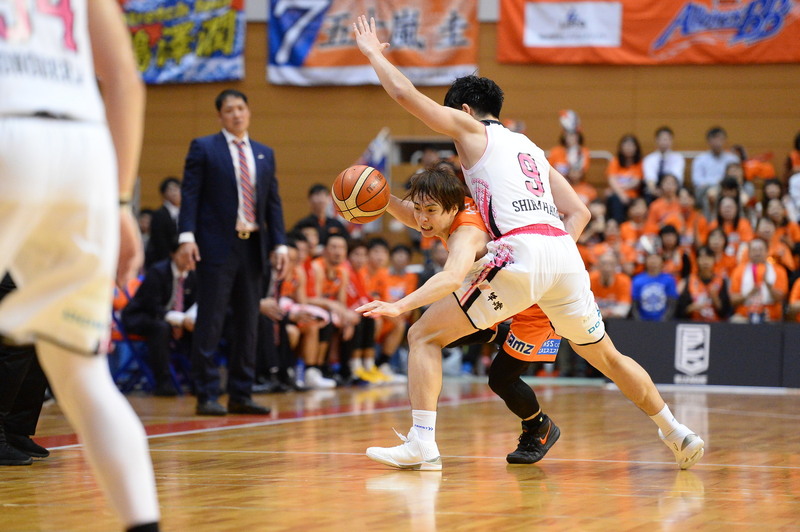 The Niigata Albirex BB employed a three-guard lineup in Thursday’s series opener against the Akita Northern Happinets. Veterans Kei Igarashi and Shinsuke Kashiwagi started alongside combo guard Ryonosuke Watanabe, and the trio scored a combined 28 points in Niigata’s 84-74 victory. Igarashi, who played on Japan’s national team with Kashiwagi at the 2006 FIBA World Championship, sank four 3-pointers in a 13-point effort and dished out five assists. Kashiwagi added seven points, four assists and four steals. Watanabe chipped in with eight points and seven rebounds. Backup guard Kenta Morii scored all six of his points in the fourth quarter. The Albirex received strong production from power forward Lamont Hamilton (14 points, including three dunks, 10 rebounds, three blocks) and center Davante Gardner had a game-high 29 points and snared nine rebounds. He made 12 of 16 free throws. Niigata (2-1) took a 41-33 lead into the second half. Justin Keenan, a Ferris State (Michigan) alum, paced Akita with 28 points and 10 rebounds. 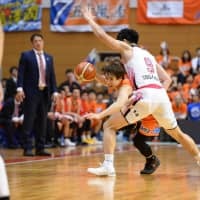 Takuya Nakayama scored 13 points and doled out four assists and Daichi Shimoyama finished with 10 points, while Daichi Taniguchi had a nine-point night. The Northern Happinets, who never led, fell to 0-3. Niigata sank 26 of 35 free throws; Akita converted 19 of 29. The Albirex outscored the visitors 20-10 in fast-break opportunities as their smaller lineup paid dividends.